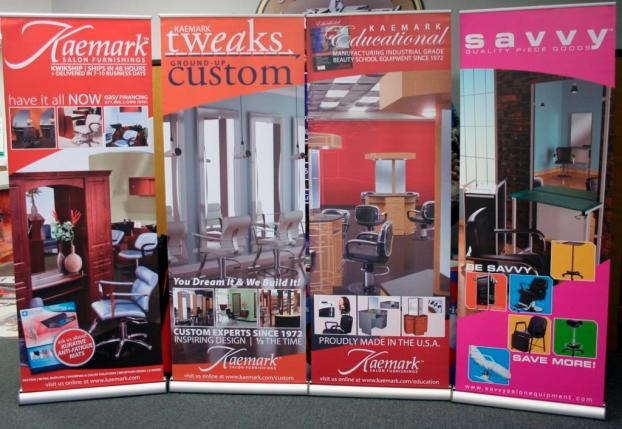 Retractable banners reach out and grab the attention of potential customers. They’re ideal for trade shows, lobbies and as retail displays in various stores and shopping malls. No matter where you want to share your branding or message, a banner can help you do it in style. 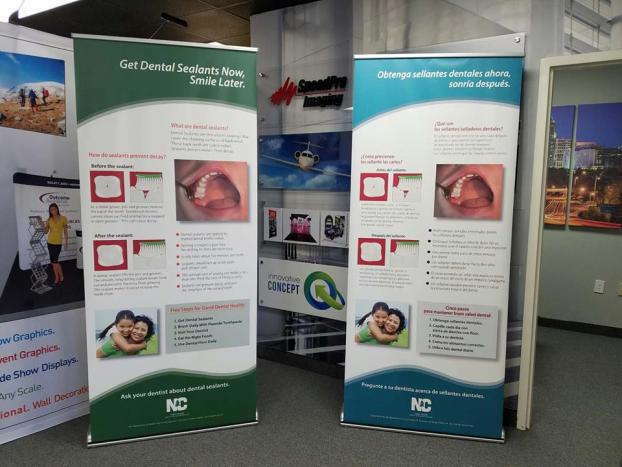 Retractable banner stands will allow you to create freestanding banner displays that require almost no effort to set up and appear sleek and professional throughout their use. 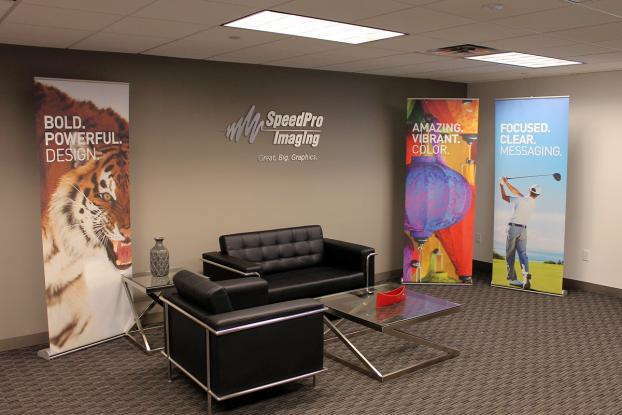 SpeedPro Imaging offers a multitude of graphics display options that can fulfill the visual communication needs of any client, and our retractable banner stand offerings are no exception. With such a variety of types and models to choose from, we’re confident you can find the perfect retractable banner stand to help show off your eye-catching graphics. Retractable banner stands are one of the most popular types of banner stands, especially for trade shows and other events. These stands are sometimes also referred to as roll-up banner stands because they use a spring-like mechanism to roll banners back into the base when they’re not in use. Think of this mechanism like a projector screen you can pull down to unroll from its base. Except, in this case, the base that contains the rolled-up banner sits on the bottom, so you pull up to display your banner. The part you pull on is called the crossbar. This bar keeps the banner from getting lost in the base and gives a nice, crisp edge to the top of your display. A bungee or telescoping pole in the back supports the banner and holds it in place. Retractable banner stand bases are equipped with a foot or feet to allow the banner to stand securely on its own. What you end up with is a freestanding display that you can set up and take down in mere seconds. Some retractors are designed so that the graphics they contain can be switched out if you want to replace an old banner for a new one without buying a new stand. As we’ll see, retractable banner stands come in a variety of types and sizes. Attach the top of the graphic to the crossbar, either by adhering it or by sliding the crossbar over the graphic. Roll the banner up, with the crossbar on the inside. Attach the bottom of your banner to the base of the banner stand. As with the crossbar, the way to attach it will depend on the particular banner stand model. Use the retraction mechanism to roll the banner up inside the base. When it’s time to set up the banner, attach the pole to the base, then pull the banner out by the crossbar, unrolling it. Attach the top crossbar to the top of the pole to secure the banner in place. 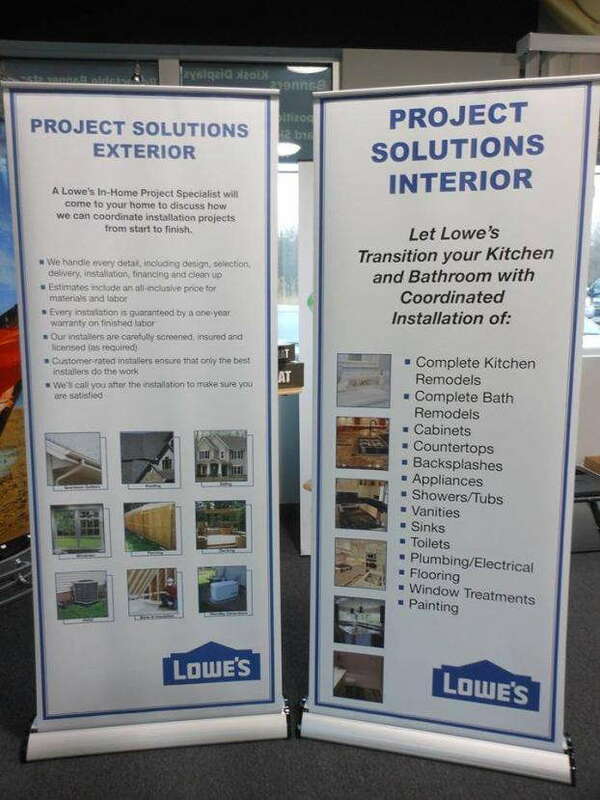 Retractable banners are lightweight, so you can easily move them around your trade show booth, sidewalk or other space until you find the perfect configuration. You can even purchase carrying bags or cases to hold your retractable banner stands, making it even easier to transport them to your next event and set them up in a flash. Signs and graphics, in general, are a critical part of marketing campaigns because they help you raise awareness of your brand and communicate messages in a visually engaging way. Vinyl or fabric banners printed with vivid graphics are an excellent means of attracting the public’s attention. In some cases, you can hang banners using grommets. This strategy can work well in more temporary situations. For example, you may hang a banner up on the outside of your business location to announce a grand opening. However, in some cases, hanging banners isn’t a feasible option, or at the least, it’s not a convenient one. When you want to display banners in a way that simplifies the process and makes your graphics look sleek and professional, a banner stand is the perfect solution. Retractable banner stands are popular display options because they offer some valuable advantages. 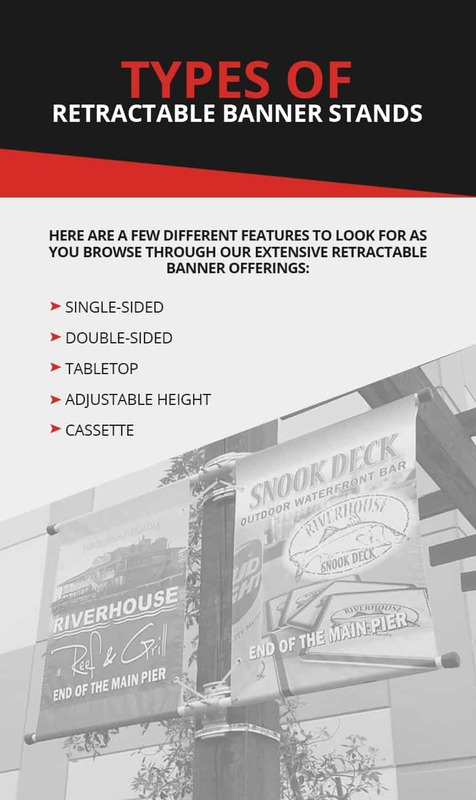 Let’s look at some retractable banner stand benefits. 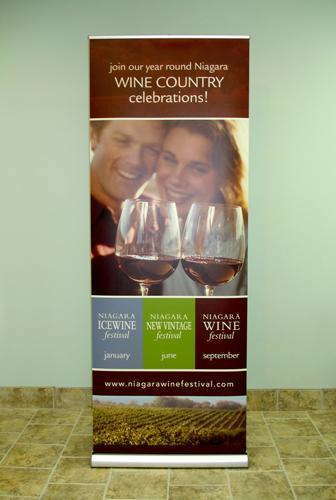 Since retractable banner stands are made to contain your banner inside the base, when they aren’t displaying your banner, they’re compact and easy to transport. This quality is a huge advantage when you’re traveling to a trade show or other event. You won’t have to worry about how you’ll ship or transport large, bulky displays this way, even if you’re flying. 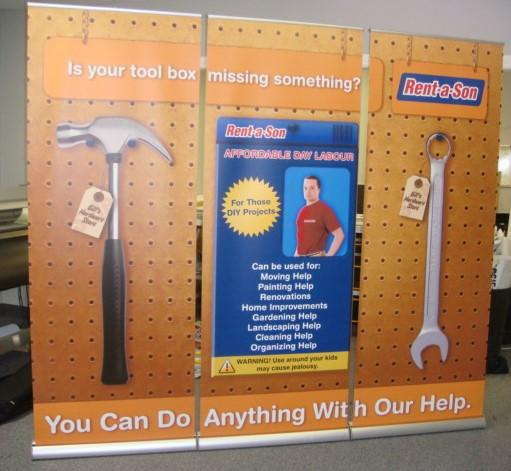 In addition to being extremely portable, retractable banner stands will keep your graphics safe. Some other types of displays may also be lightweight and easy to move, but they won’t necessarily contain your graphic in a way that fully protects it from damage. When your banner is rolled up inside of the banner stand base, you don’t have to worry about any damage occurring when it’s being shipped or transported to its destination. You can even use a carrying bag or case to give some added protection to your banner stand and make it even easier to carry. Whether you’re hosting an event or attending one, you don’t want setting up your displays to eat up all your time. Especially if you’re attending a trade show, you have plenty of other details to take care of, so you don’t want to be fully occupied by unpacking and assembling displays. The quicker you can get set up, the quicker you can start making an impression. 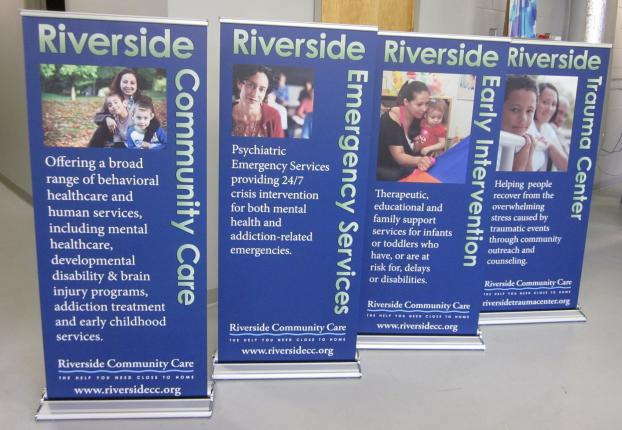 Retractable banner stands require no assembly other than simply pulling out the banner and connecting the supporting pole in the back. 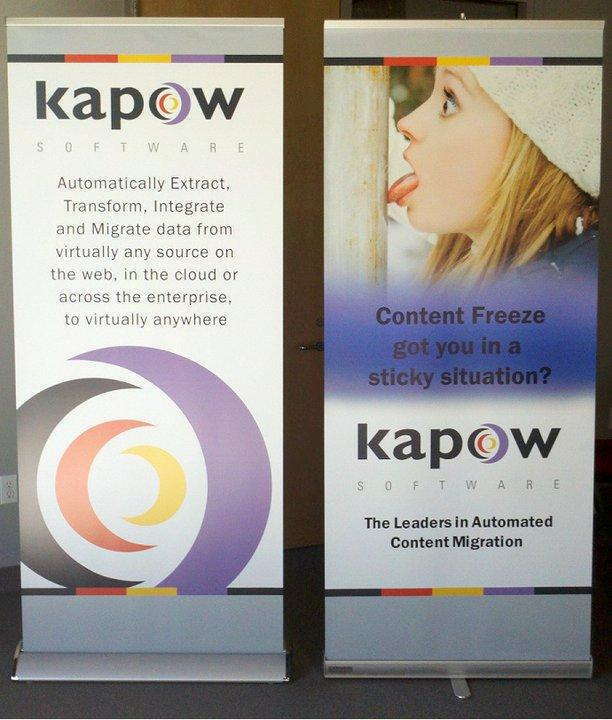 Setting up retractable banners is a breeze, and taking them down is too. By removing the support pull and engaging the retraction mechanism, you can make your banner automatically roll neatly back into the base. At the end of a long day or days of being on your feet and engaging with consumers or other businesses, you’ll truly appreciate this simplicity and speed of disassembly. Another benefit of retractable banners for businesses is that they’re a relatively inexpensive display option. 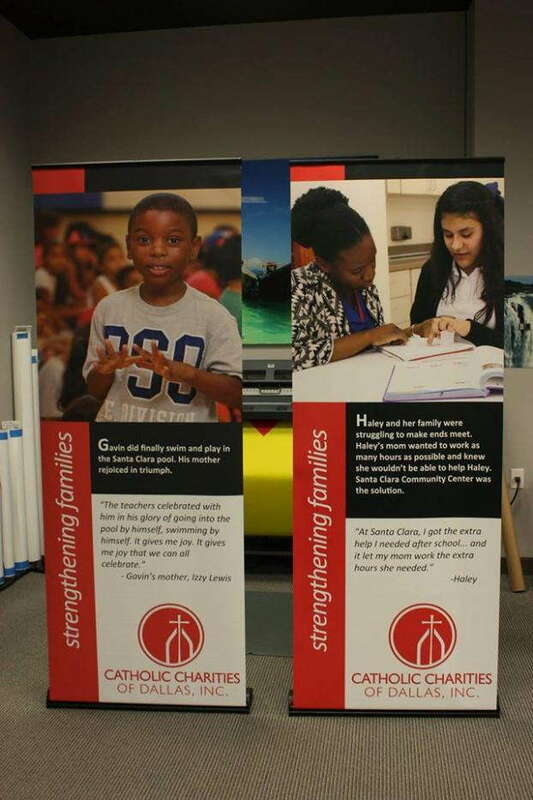 If your company is young and doesn’t yet have a lot of capital to invest in custom graphic displays, you’ll love that retractable banners offer a high-impact appearance at an affordable cost. 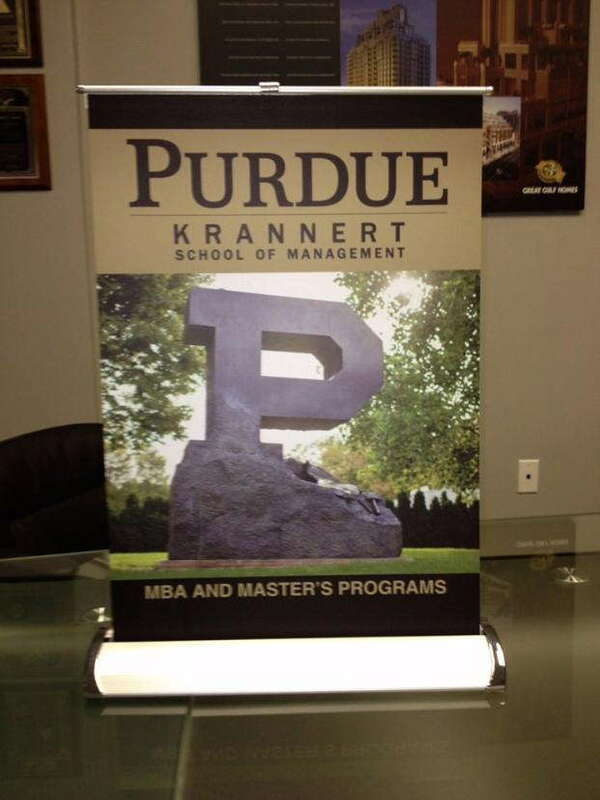 The lowest-cost retractable banner stands from SpeedPro fall within our economy category. Economy-grade retractable banner stands are still made from quality materials and look sleek and professional, all while remaining highly cost-efficient. 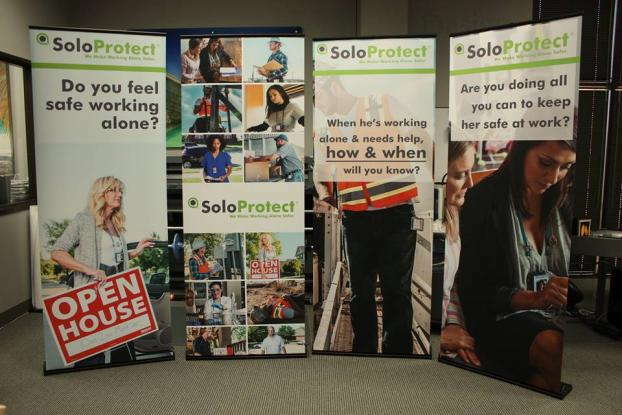 If you have more money to invest in your displays for trade shows, exhibitions, other events or even your own store or office space, consider upgrading to standard or premium retractable banner stands. These durable retractable banners require more of an upfront investment, but they’re available in larger sizes and made with even higher-quality materials, so you can end up saving money if you reuse them or continue to use them long-term. 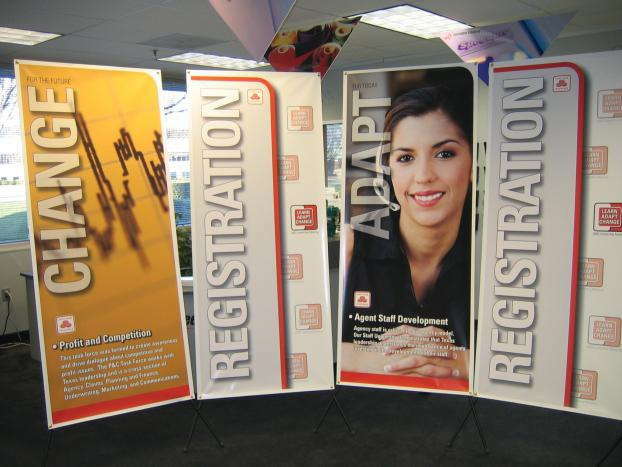 Since retractable banner stands from SpeedPro are made with durable hardware, you can expect your banner stands to last. While all our retractable banners are made with quality materials, on higher-grade models, you’ll have the benefit of stronger metal and higher-quality internal mechanisms, which makes these banner stands capable of standing up to heavy use. In fact, premium reusable retractable banner stands come with a lifetime warranty. You can also expect the graphics to last, no matter what retractable banner stand model you choose. 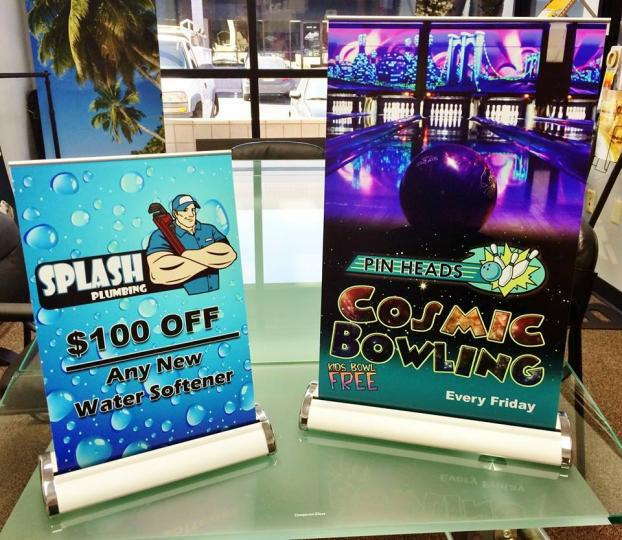 These graphics are printed with the best inks on high-quality fabric or vinyl materials, and they’re also protected from dust, spills and any other possible sources of damage when they’re retracted inside the banner stand base. Since they’re neatly rolled up, you also won’t have to worry about any creases or wrinkles affecting your banners. Durable hardware and protected, high-quality graphics mean you can get a long and productive life out of your displays. Another unique advantage of retractable banner stands compared to other types of displays — and even other types of banner stands — is that they typically allow you to adjust the height of your display and how much of the banner you show. If you find that a shorter height would look better in your booth or would better engage people at their eye level, you can pull the banner up as far as you want. A telescoping pole or hybrid telescoping/bungee pole will allow you to determine the perfect height and then lock your banner into place. Some retractable banner stands are also made so that you can change out the graphics they display. If your banner stand’s height is adjustable, your new graphic doesn’t even need to be the same size as the last one, which makes retractable banner stands especially versatile. The same banner stand can be used to either display one banner at varying heights or present altogether different banners. Another benefit of retractable banner stands is that there are so many types to choose from. Though all retractors share many of the same key features, every model is distinct. With more than 50 models of retractable banner stands to choose from in our product catalog, you can be sure you’ll find the perfect model to fit your desired aesthetic, banner size other requirements. Because retractors are so diverse, your entire trade show display could be made up of retractable banners without looking boring or repetitive. For example, you could have tabletop-sized retractable banners on your table, a larger banner at the back and medium banners at the front of your booth on either end. 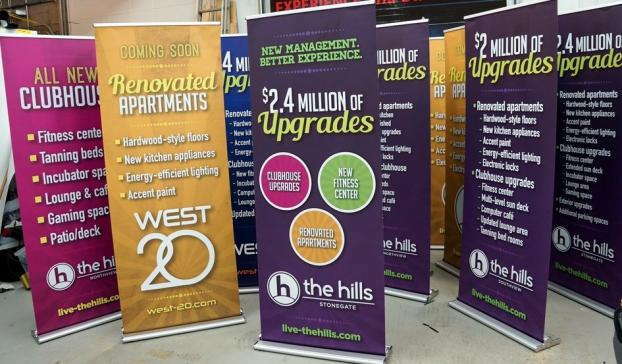 Of course, retractable banners can also complement a suite of graphics that includes other display types, such as table coverings, popup displays and more. 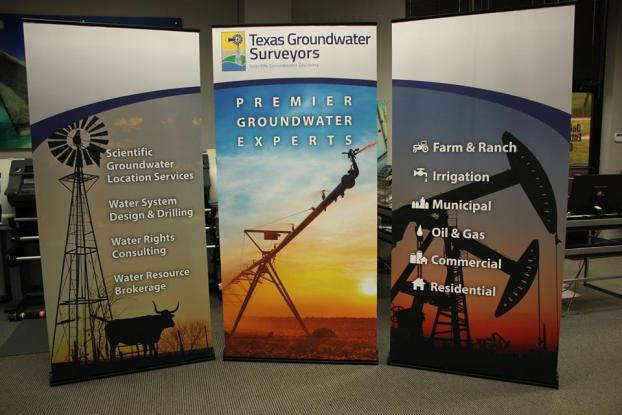 Single-sided: Single-sided retractable banner stands are made to feature one graphic. This setup is the standard for a retractable banner stand and looks great, especially if your banner will be sitting up against a wall or other object that blocks its back. 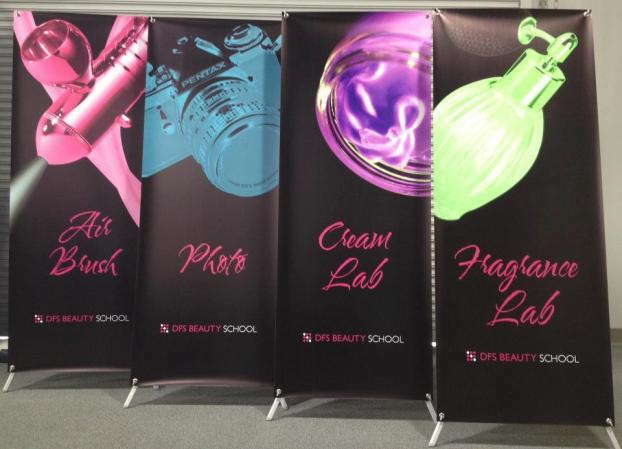 Double-sided: If you want your banner to stand out in the open and display a graphic on both sides, that’s possible too. Double-sided banner stands are made to hold a banner on both sides, so you can have an even higher impact with just one stand. Tabletop: Tabletop retractable banner stands are made to sit on a table rather than on the floor. They feature smaller graphics. Tabletop options are especially valuable if you’re limited to a tabletop display with no floor space. Adjustable height: Adjustable height retractable banner stands make it possible to display graphics of various heights. Typically, the pole will lock into position at certain intervals. In some cases, you’ll also have the option of adding an additional pole to increase the height even more. Cassette: Cassette options allow you to store individual banners in their own roller cartridges separate from the retractable banner stand. When you want to display a certain banner, you’ll simply plug in the cassette you want. This feature allows for especially convenient interchangeability. Aside from these various features, you can also look for retractable banner stands that will complement the aesthetics of your overall display. Choose from bases that are silver or black metal, white plastic or even maple wood grain. The endcaps on the ends of the base also come in different finishes. If recyclability or purchasing a product made in the USA is a priority for your business, also look for models that are marked with these qualities. With so many finishes, sizes, quality ranges and other features, the options for retractable banner stands are extensive, and you’re sure to find the ideal solution for your business. Retractable banner stands make for impactful displays that can project vivid colors and resonating messages to your audience. At SpeedPro Imaging, our retractors are high-quality, lightweight, portable and visually appealing. Every retractor includes the banner as well as the stand. Some options also include carrying bags or cases. The staff here at SpeedPro is dedicated to partnering with each and every client to design the perfect custom retractable banner to meet all needs. Our consultants approach each project with a commitment to assist clients within a short timeframe without sacrificing quality. In addition to being efficient, we’re also thorough. 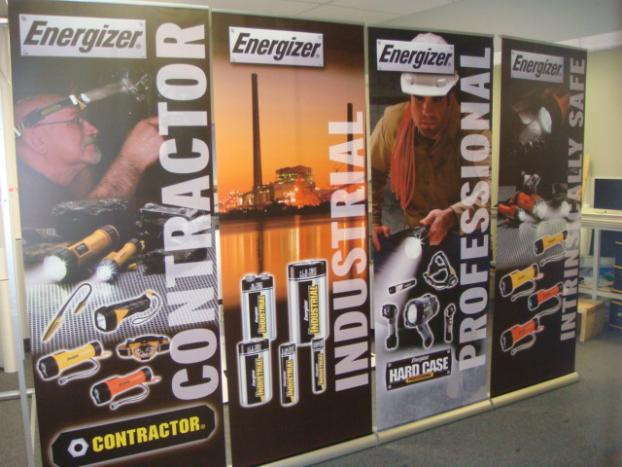 When you consult with our staff, they’ll take the time to learn more about your company and your desires for your display so that they can help you find the perfect solution from our vast array of retractable banner stand offerings. 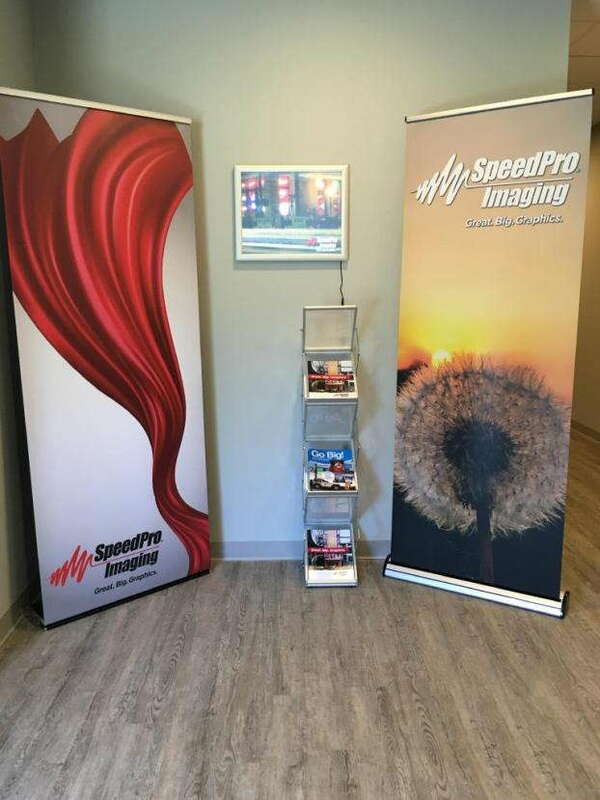 To get started on your new banners, find a SpeedPro studio near you to talk to the staff and see how they can assist you by creating vibrant retractable banners that help you stand out from the competition.